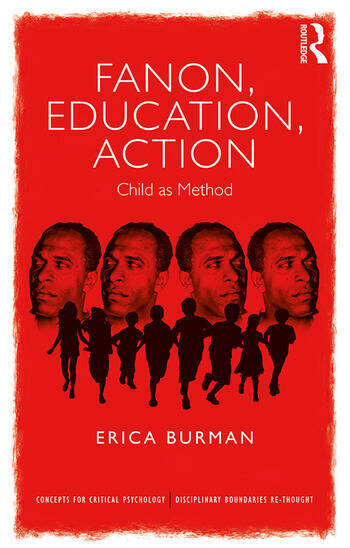 Bridging childhood studies, pedagogy and educational theory, critical psychology, and postcolonial studies, this unique book reads the role and functions of ‘the child’ and childhood as both cultural motif and as embodied life condition through the work of Frantz Fanon. Based on innovative readings of Fanon and postcolonial cultural studies, the book offers new insights for critical pedagogical and transformative practice in forging crucial links not only between the political and the psychological, but between distress, therapy, and (personal and political) learning and transformation. Structured around four indicative and distinct forms of ‘child’ read from Fanon’s texts (Idiotic, Traumatogenic, Therapeutic, Extemic), the author discusses both educational and therapeutic practices. The pedagogical links the political with the personal, and Fanon’s revolutionary psychoaffective account offers vital resources to inform these. Finally the book presents ‘child as method’ as a new analytical approach by which to read the geopolitical, which shows childhood, education, and critical psychological studies to be key to these at the level of theory, method, and practice. By interrogating contemporary modalities of childhood as modern economic and political tropes, the author offers conceptual and methodological resources for practically engaging with and transforming these. This book will be vital and fascinating reading for students and scholars in psychology, psychoanalysis, education and childhood studies, gender studies, postcolonial studies, and mental health. Erica Burman is Professor of Education at the Manchester Institute of Education, the University of Manchester, Honorary Fellow of the British Psychological Society, and a United Kingdom Council of Psychotherapists registered Group Analyst. She is author of Deconstructing Developmental Psychology (Routledge, 3rd edition, 2017), and Developments: Child, Image, Nation (Routledge, 2008).